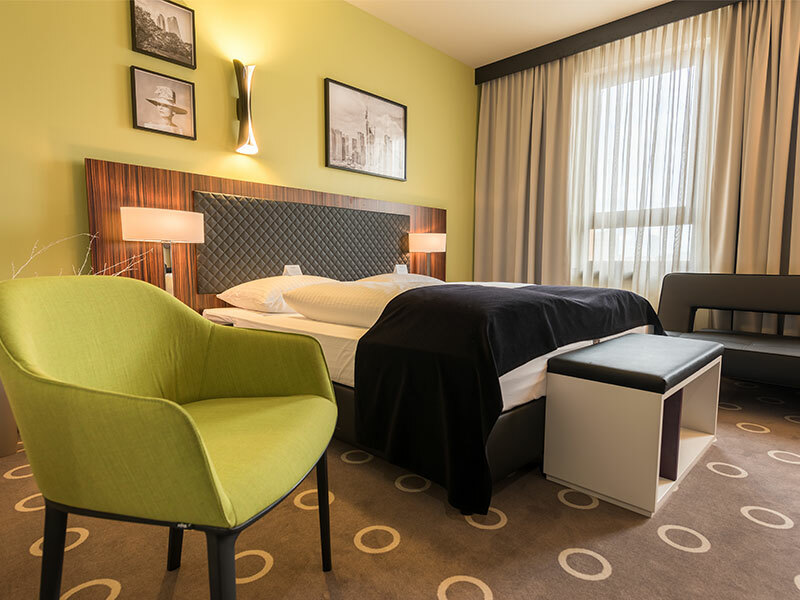 88 modern, fully equipped rooms offer a modern feel-good atmosphere despite a minimum price, as many otherwise chargeable services, such as Pay-TV and W-LAN, are already included in the accommodation price. You need a special extra service? An additional cushion, an extra bed or charger? No problem, our friendly and competent staff will always find a solution. The well-stocked hotel bar is a good meeting place to enjoy a relaxing drink or even an entire evening. The highlight for visitors to the exhibition: the exhibition centre is within a few minutes walking distance from our hotel – no stress from driving there or looking for somewhere to park. The same is true for the city centre and the financial district. 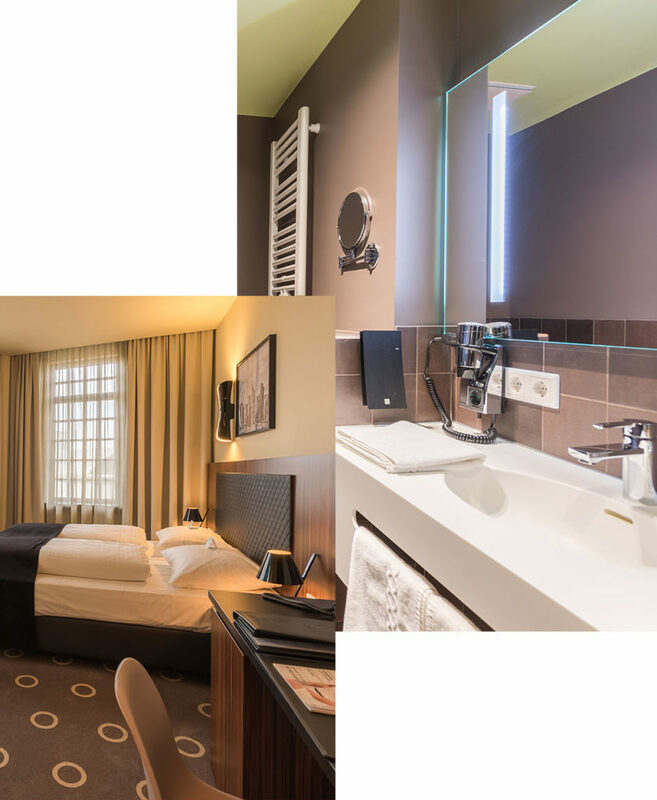 The Frankfurt is the central meeting place, from where you can conveniently reach all the hot spots of the Main metropolis without a car. When will we be able to welcome you? Please note that pets are not allowed in our hotel.